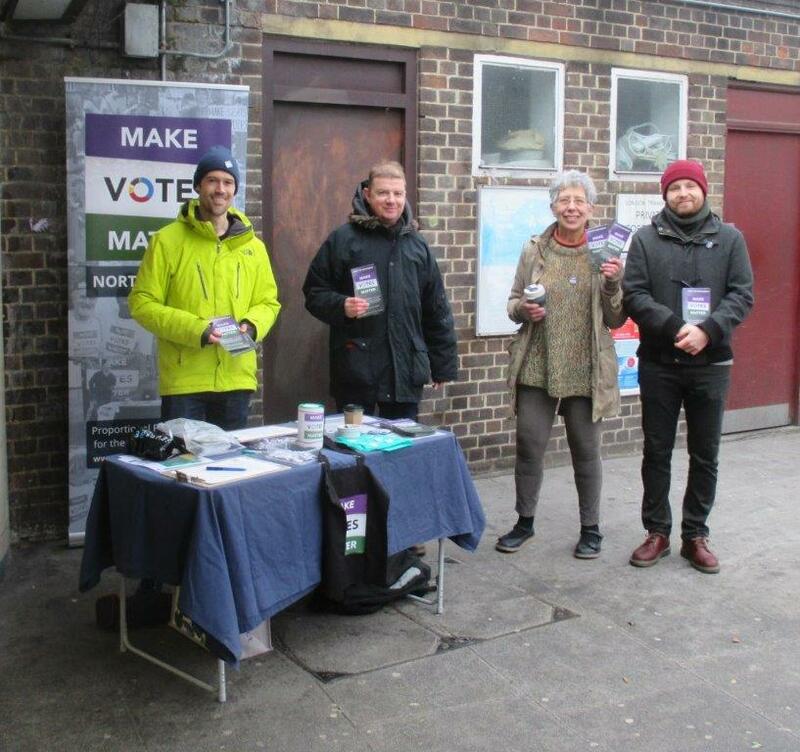 MVM East London are holding a street stall on Saturday 1st September to talk to the local community about fair votes and Proportional Representation in the centenary year of partial suffrage. Join them in Poplar, or just drop by to say hello! The stall will run from 10am to 3pm at Chrisp Street Market, near All Saints DLR station. MVM East London at a previous street stall.